3rd one in six weeks. 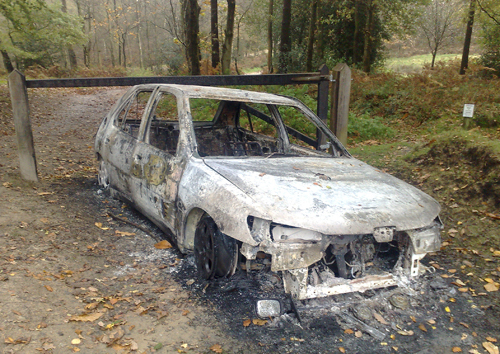 If I were a cynic I’d say it’s the “credit Crunch”, torch your car and claim the insurance, just a thought. Saturday saw the newly formed, Sayers Croft Trust Family Conservation Volunteers, come out to help with Heathland Maintenance on Winterfold. Considering it was pouring with rain all morning, I’m very impressed that anyone turned up at all. Despite the weather, I think I can say “we all had a good time” and I was very pleased with how much we got cleared with a few hours work. A big “Thank you” to my band of happy damp helpers. 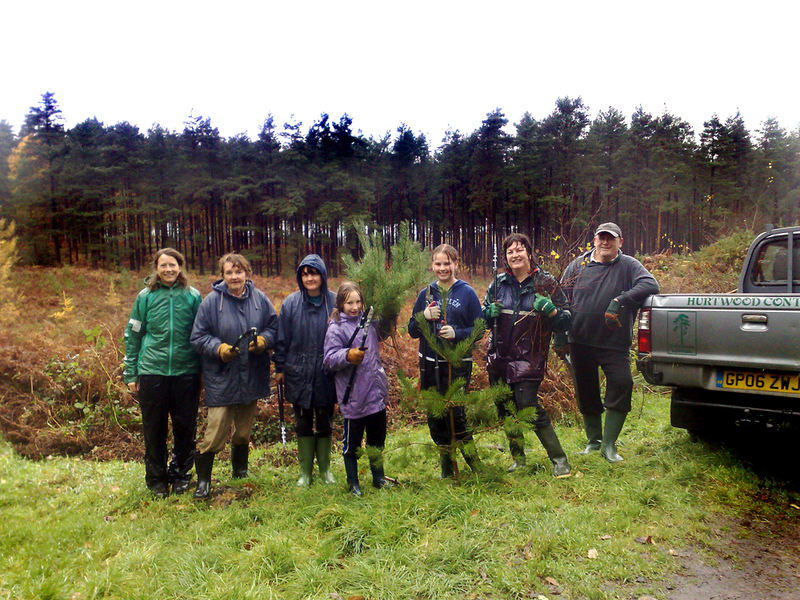 We’ll be up there again on Saturday December 13th, when if you come along to help out you’ll be able to choose and cut your very own Pine Christmas tree! I hope this isn’t the start of more car dumping! 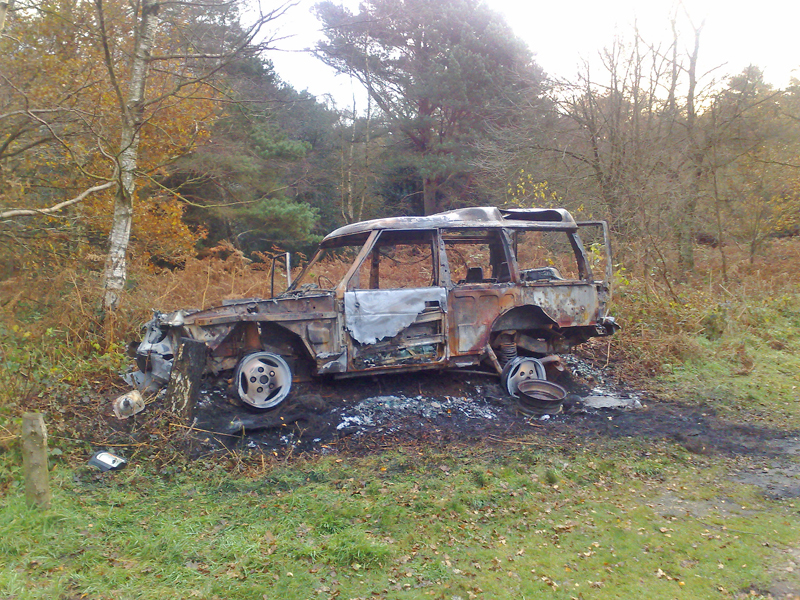 I phoned Guildford Borough council on Monday to ask them to come and collect it as they usually do, only to be told I now have to send them a signed letter giving them permission to come onto our land to collect the vehicle!